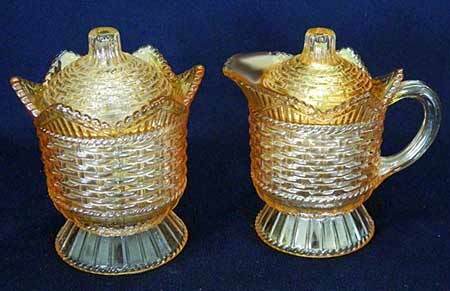 When this marigold set sold in 2012 for $35 it was believed to be Dugan's Big Basketweave. In 2013, Mitchell Stewart reported that he has a set like this and that it's by Westmoreland. Only shape reported is this covered sugar and creamer. 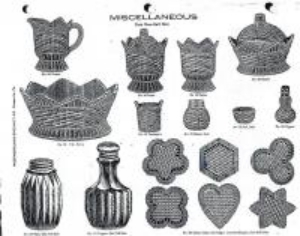 Chas West Wilson in his Westmoreland book calls the pattern Basketweave. Bill Edwards and Mike Carwile in various editions of their encyclopedia call the pattern Basketweave & Cable.